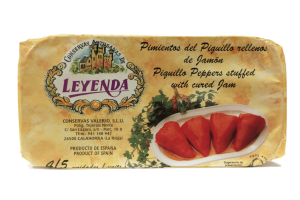 Small sweet piquillo peppers are typical of Navarra and La Rioja; they are grilled over open wood fires and then skinned before being stuffed. 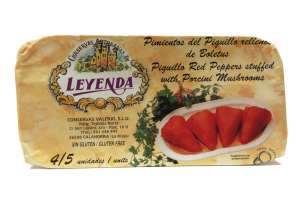 These delicious sweet peppers are filled with a bechamel sauce flavoured with prawns, fish and langoustine tails, which combines well with the smoky, sweet taste of the peppers, covered with a tomato sauce. These make a great appetiser - just heat through and serve! Read more about our producer here. 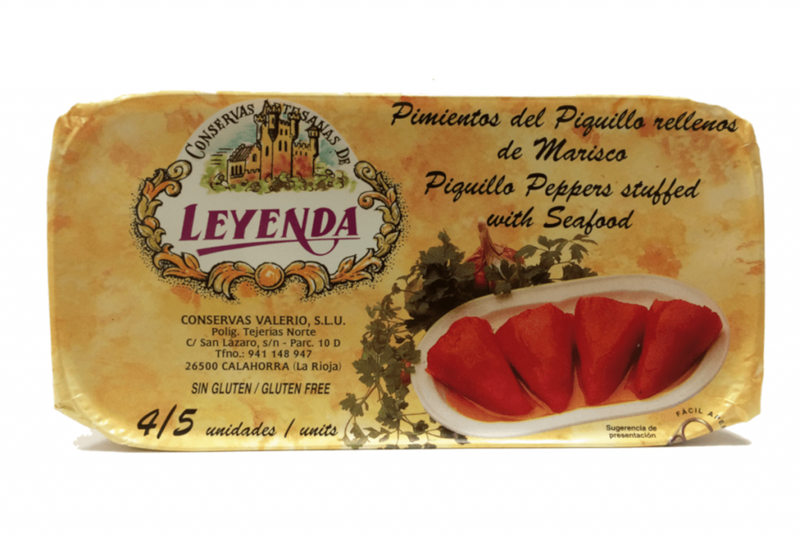 INGREDIENTS: Piquillo peppers, tomato, whole milk, hake, corn starch, vegetable margarine, prawns, langoustine tails, onion, carrot, fish stock, olive oil, sugar, salt, nutmeg, ground white pepper, garlic and acidulant E330. NUTRITIONAL INFORMATION: Energy 242 kj 58 kcal, Fat 2.6 g, of which Saturates 0.7 g, Carbohydrate 5.7 g, of which Sugars 2.8 g, Protein 2.5 g, Salt 1.2 g.